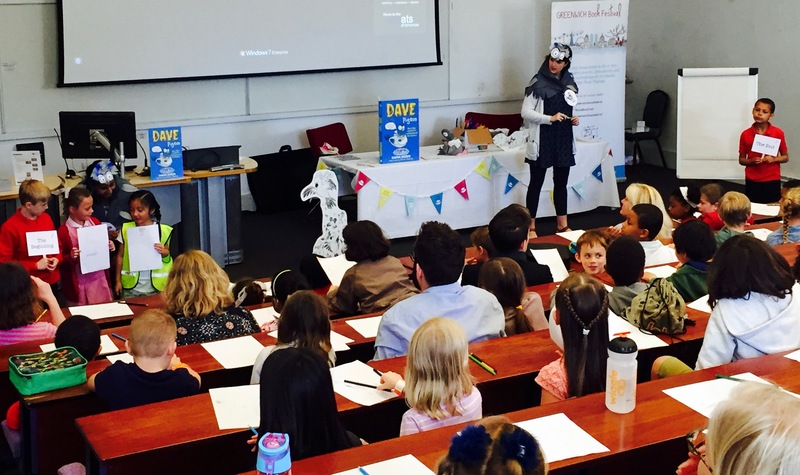 Today, Sheena and I took Dave Pigeon to meet pupils from primary schools in the London Borough of Greenwich at the Greenwich Book Festival. 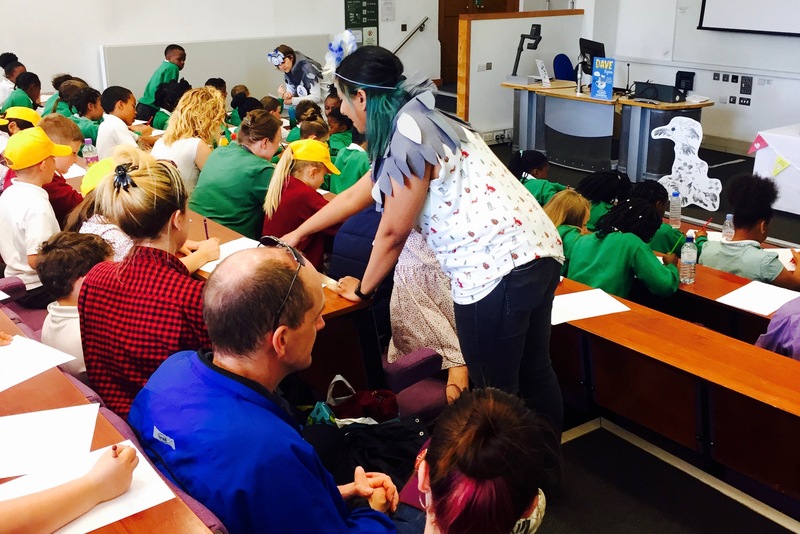 One hundred and eighty pupils from seven different primary schools came together to create their own pigeon characters and two incredible action-packed stories. We were so impressed with the talent and creativity of these budding young authors and illustrators and how well they all worked together to decide what would happen next in their epic pigeon tales. We heard a story, which would be very much approved by Dave Pigeon himself, where Dave and Skipper escaped the clutches of swamp creatures in a sewer underneath a swimming pool. And in a Dave Pigeon spin-off we had two new characters: a princess pigeon called Sophia and a pigeon called Peanut who had to battle their way out of a cage using their pocket lava guns. 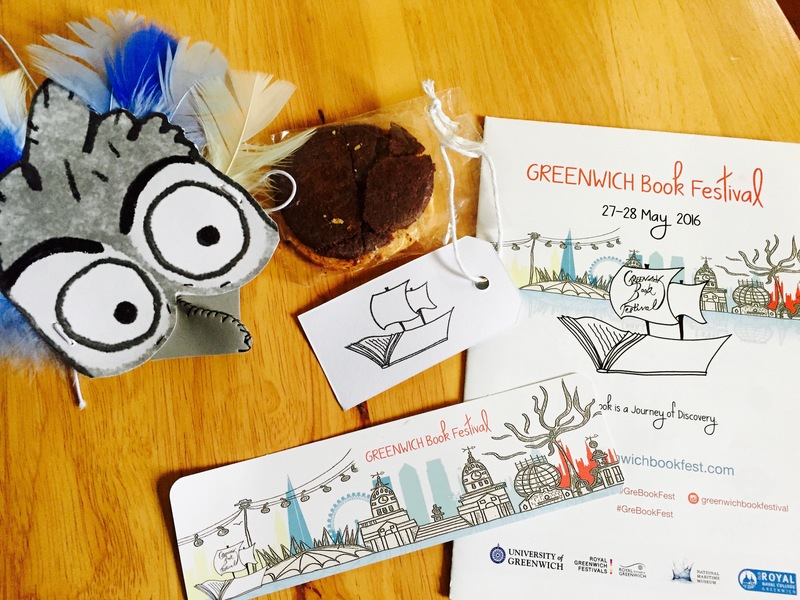 Sheena and I had the most wonderful time in the glorious grounds of the University of Greenwich and were treated like author and illustrator royalty, complete with a lovely parting gift of the most delicious ‘Thank You’ biscuits known to man. 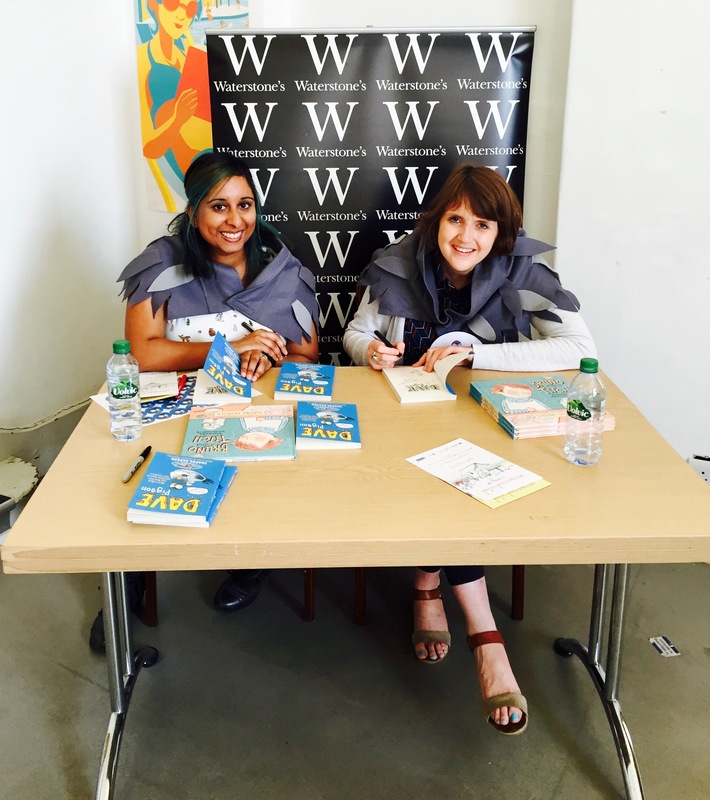 A huge pigeontastic thank you and well done to Greenwich Book Festival 2016 for such a wonderful day.